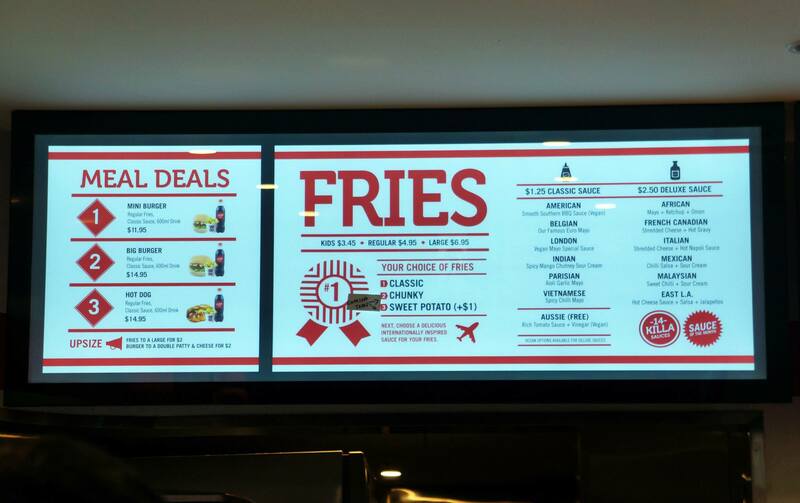 I’m sure everyone has heard that Lord of the Fries recently opened up a Sydney store on George street. If you’ve been to Melbourne there’s a high chance you’ve seen one of these there because that’s where they’re originally from, LOTF is one of the few Australian born fast food chains. 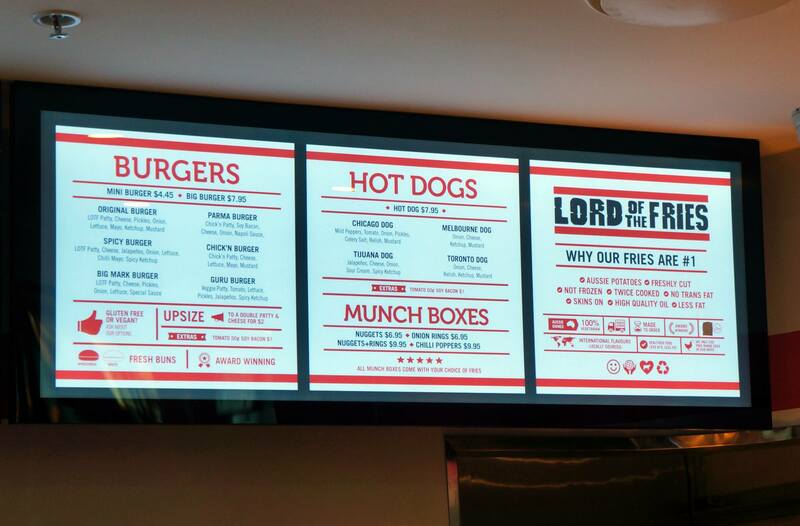 As the name probably suggests to you, Lord of the Fries specialises in fries topped with a large variety of sauces but they also have an interesting mix of burgers (all vegetarian by the way) and hot dogs. I actually loved grabbing a box to munch on every time I was in Melbourne so when I heard they opened in Sydney I got pretty excited! 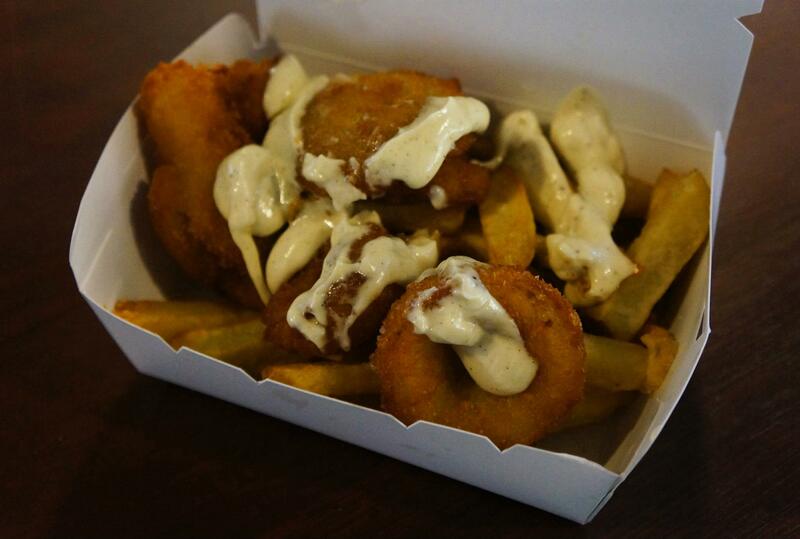 Mr C ordered his usual favourite onion rings and fries snack-box with Belgian sauce (above). 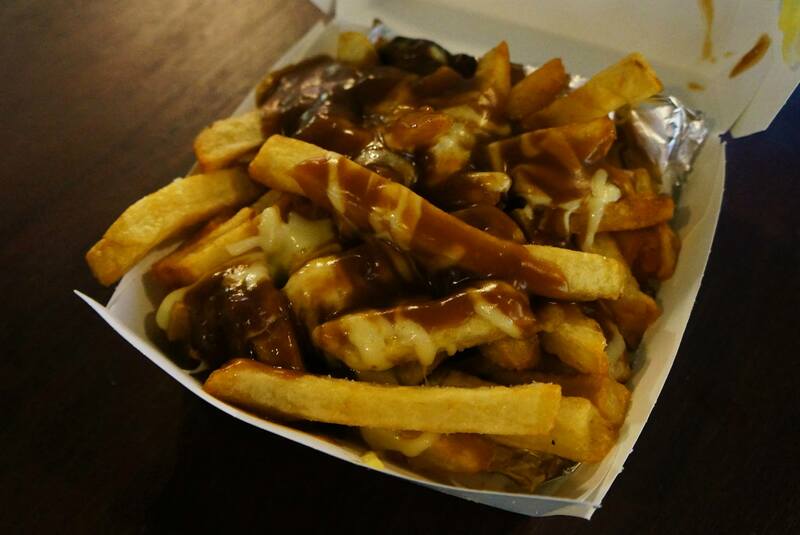 It’s a really hard choice for me to decide between French Canadian or the Belgian sauce because they’re both pretty good! I’d like to give most sauces a try eventually though. Oh gosh, thanks for this review. Looks great will try it! You mention all the burgers are vegetarian, really? Hot chips are my weakness! I haven’t been yet because I want to avoid the crowds… just gotta find the right timing to go! its so good but so bad for you but thats what i love! canadian sauce is my all time fav! I’ve not yet tried the onion rings, they look GOOD! They’re actually filled with full onions, not just the mush thing you get at Hungry Jacks etc! I love the onion rings at Lord of the Fries! I had a fantastic munch box over in Melbourne but not so much at the Sydney branch. Our chips were soggy when we visited and extremely stodgy 🙁 Possibly because it is new and unexperienced staff and they’re still ironing things out?